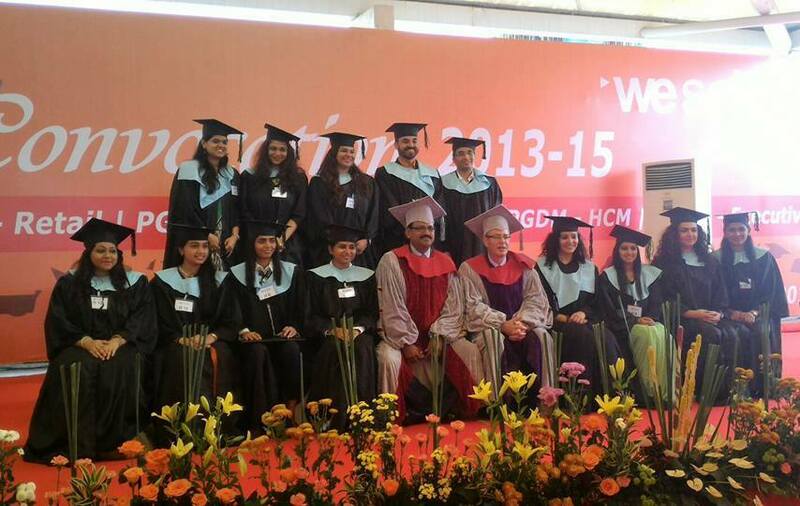 WeSchool was abuzz on a Sunday morning with the graduating class of 2013-15 at the Convocation ceremony organized by the Institute. What made the convocation special and refreshingly unique was the presence of persons of high repute, Chief Guest Dr Vikas Amte and Guest of Honour Consul General Mr. David Akov at the Consulate General of Israel in Mumbai. 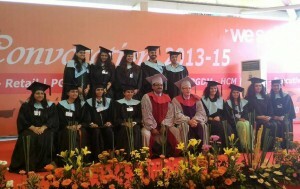 Both dignitaries along with Group Director Prof Dr Uday Salunkhe presented the Convocation Certificate to the graduating batch. Prof Dr Uday Salunkhe, Group Director WeSchool welcoming the dignitaries, parents and students at the occasion shared “WeSchool education is about bringing in consciousness towards Society apart from Organization and Self. Be it the Global Citizen Leader program, initiatives to work with North-East, partnering with international Universities such as the recent one with Israeli Universities, the goal is to bring about excellence and inclusiveness together. And hence today we have with us an epitome of dedication to humanity Dr Vikas Amte and the representative of a nation hailed for its entrepreneurial innovations Mr David Akov”. Mr David Akov, in his address emphasized the need for collaboration between students of both countries especially for innovation in areas of agribusiness, healthcare and entrepreneurship. He inspired the students to have a collaborative and creative outlook in their new journey. The convocation ceremony ended with a spirit of hope, happiness and thought as the young batch now participate fully in the world of work.